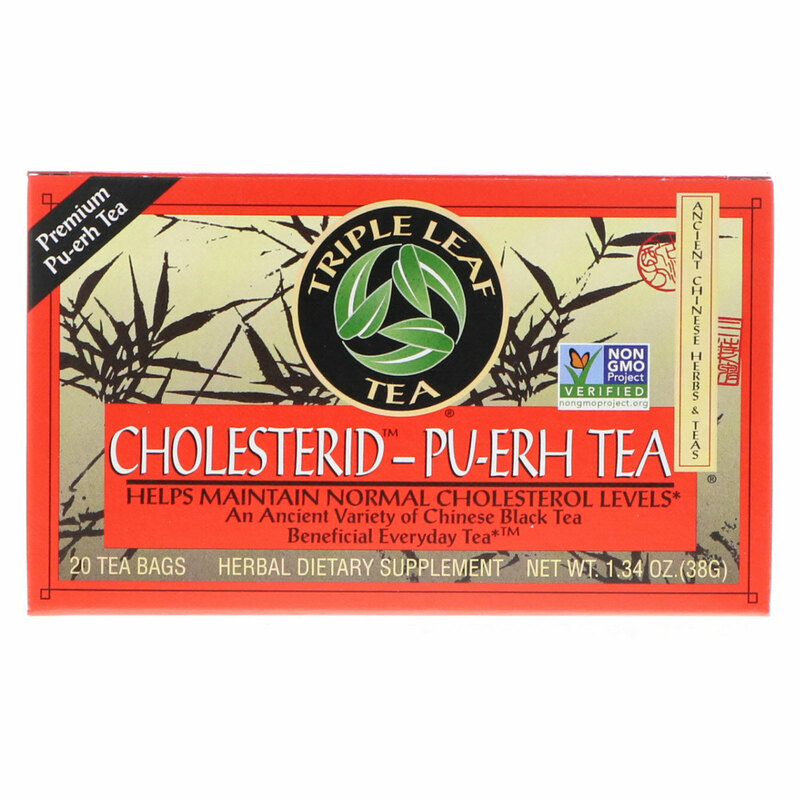 Pu-erh long has been valued as a delicious tea with health supporting properties. Tea from the tea plant, Camellia sinensis, has been researched for helping to maintain cholesterol levels that are already within the normal range. The Chinese attribute special qualities and benefits to pu-erh tea. Traditionally, this mind and smooth tasting tea was used to help support digestion. This is a type of pu-erh tea called Yunnan tuocha tea, made from an ancient variety of tea. "Tuo cha" means bowl shaped tea. It refers to the method of shaping the pu-erh tea while drying. Enjoy it hot or iced, as is, or try adding lemon and your favorite sweetener. Traditional Chinese use of herbs and teas dates back thousands of years. Recently, here in the West, people have discovered the value of this ancient practice. Tea drinkers are able to enjoy a wider variety of Chinese herbs and teas that rarely were used in the West until recent times. Different parts of plants are used, including the leaves, stems, roots, barks, seed and flowers. Herbs are often blended together, and prepared and consumed as teas, The Chinese tradition of using herbs and teas has been passed on from generation to generation over the centuries. Triple Leaf Tea comes from such a tradition. It is made in the U.S.A. by a Chinese American family-owned business. The company owner can remember stories of his own grandfather selling herbs and teas in his village in China. 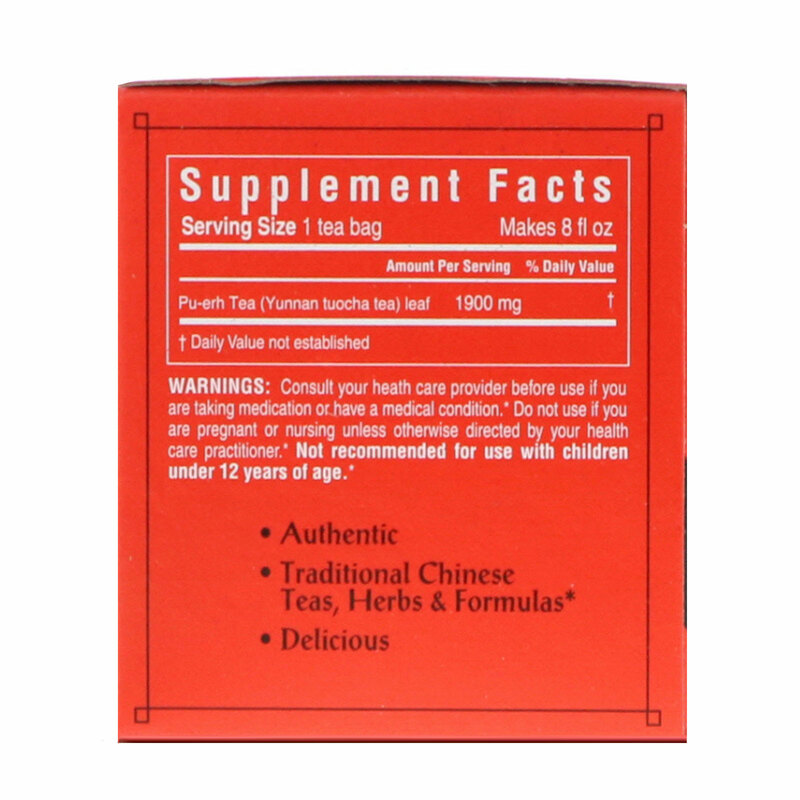 Today, these traditional Chinese herbal formulas are available to you. We wish you harmony, balance and well-being. Hot Tea: Pour 1 cup of boiling water over a tea bag. Let steep 3-5 minutes. Remove the tea bag, squeeze gently. To extract more of tea's benefits, steep 5 minutes. Consult your health care provider before use if you are taking medication or have a medical condition. Do not use if you are pregnant or nursing unless otherwise directed by your health care practitioner. Not recommended for use with children under 12 years of age.